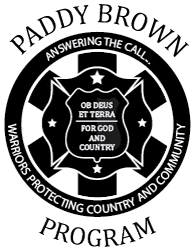 The Paddy Brown Program was founded by Jason Brezler to assist veterans in their transition from active military duty to civilian life. Jason has pulled together an exceptional team with varied backgrounds and experience to help him create a program that offers post-911 veterans access to employment and professional development opportunities in the first responder sector. Below is a list of the PBP team and their bios. Please feel free to contact them with questions or suggestions. Trisha has worked in finance for over 20 years as a proprietary trader at several large firms and currently as an institutional municipal salesperson at RBC. She graduated from New York University with a BS in economics and member of NYU’s track team. Trisha’s support of the military and veterans stems from her father’s military service as a US Marine. She is a member of RBC’s Employee Resource Group and a volunteer Docent at the 9/11 Memorial and Museum. Carolyn Brown is Paddy’s little sister. 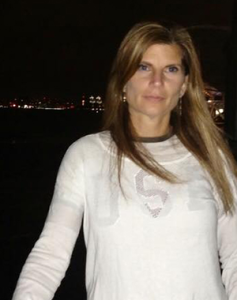 In the years following 9/11 Carolyn has courageously been the face of the Brown family. For more than a decade, she organized an annual birthday party each November to coincide with Pat’s birthday and the USMC birthday – and on each occasion all of the proceeds were donated to programs for wounded vets. Tina Atherall is a Licensed NYS Masters of Social Worker and military Veteran spouse. She received her Masters of Social Work from Adelphi University and has advanced certificates in military family readiness, military social work and non-profit leadership. She has 23 years of experience in military family system and was a non-profit leader for a military and Veteran non-profit. She has extensive experience in direct service with post 9/11 military, Veterans and families. She works in private practice with individuals and communities providing clinical services, education and advocating for critical support for those that have served in the military and their families. 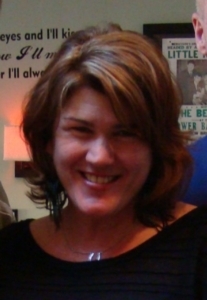 Tina currently works as an Administrator and Faculty member at Touro College Graduate School of Social Work as the Director of Social Work Career Development and Community Initiatives. She is the program coordinator for the military fellowship and military social work program at Touro College. Tim Brown is a retired, decorated 20-year FDNY firefighter, a survivor of the 2001 terrorist attack on the World Trade Center, a first responder to the 1993 terrorist attack on the WTC and a veteran of the New York Urban Search & Rescue Task Force team that responded to the 1995 terrorist attack on the Alfred P. Murrah federal building in Oklahoma City. Tim lost 93 of his friends on Sept. 11th, including his two best friends. He served several years in Mayor Giuliani’s Office of Emergency Management. He spent two years on special detail to the federal government serving as a special assistant to the Secretary of Health and Human Services following the Anthrax terrorist attacks in 2001-2002 where he led the project to instill a command and control system into the Department. Tim was a founding member of the newly formed U.S. Department of Homeland Security. Tim helped the Governor of Rhode Island manage the aftermath of Rhode Island’s tragic 2003 Station Nightclub fire that killed 100 people and stayed on to recommend changes to the state’s emergency management and homeland security system. Tim now works with the US Government in a National Security position. He has been a leader in defending the memory of those lost on 9/11 at Ground Zero. He is a media commentator on the subject and has appeared on national news channels including FOX News, CNN, MSNBC, CNBC and dozens of local news programs. Tim was awarded of the 2010 Freedom Flame Award. He is a subject in the 2012 Peabody Award-winning documentary “Rebirth” . He uses the film to help at-risk communities understand grief, resilience of the human spirit and find their path to new hope, love and joy. In 2013 Vice President of the United States Joe Biden invited the Rebirth participants to the White House to screen their film to a group of psychology students. Tim serves on the Board of Directors of the September 11 National Memorial Trail and the Board of Directors of the Paddy Brown Program. He also volunteers with the National September 11th Memorial and Museum, Carry the Load and Ride2Recovery. 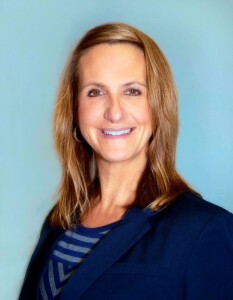 Wendy Friedmann is a successful marketing and sales professional with over 25 years of experience. During her career she has worked for a number of well-known consumer, publishing and technology companies such as Swatch, Ziff-Davis, The New York Times and Earthweb. Her accomplishments include: while as head of Worldwide Ad Sales for EarthWeb, she was essential in helping the organization become one of the first Internet companies to go public. In addition she started and built a successful, national dessert manufacturing company, RW Delights, whose products are sold by leading food retailers including Whole Foods, Trader Joes, and Fresh Direct. 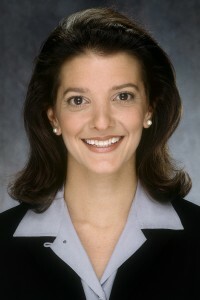 Most recently, she founded a consulting company advising clients on business strategy and organization. Wendy is new to the non-profit sector. She is excited about the prospect of putting her knowledge and experience to work helping the young men and women who serve and protect our country. 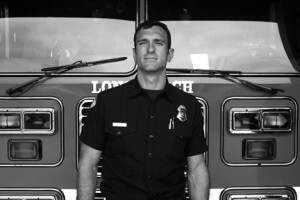 Nick Kalt is a firefighter with the Long Beach, CA Fire Department and is presently assigned to Station 7. Prior to entering the professional fire service, Nick was a Captain in the United States Marine Corps. He was seriously wounded in the Battle of Fallujah in November 2004 while serving with 1st Combat Engineer Battalion and medically retired from the USMC. Nick is a graduate of the U.S. Naval Academy at Annapolis and was a collegiate All-American for the Midshipmen rugby team. 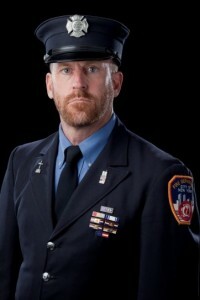 Firefighter Eddie Finn was appointed to the FDNY in June of 2015. He is assigned to Engine Co. 227 in the Brownsville Section of Brooklyn. Finn is a graduate of La Salle University (Philadelphia, PA). In May of 2015, he received a Bachelor of Arts Degree in Communication with a focus in Public Relations and a minor in Global History. Finn is a certified Coxswain serving as a Boatswain’s Mate Second Class (BM2) in the United States Coast Guard Reserve. 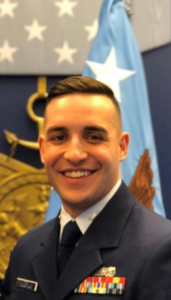 He is currently assigned to Port Security Unit 305 in Ft. Eustis, VA. Finn’s unit is a deployable component of the Coast Guard, specializing in port security and anti-terrorism force protection on a global scale. Finn was previously assigned to U.S. Coast Guard Station Atlantic City, NJ from 2012-2016. In 2017, he and his unit deployed to Guantanamo Bay, Cuba in support of Operation Freedom’s Sentinel. Finn’s goal is to ensure that fellow veterans are aware of their opportunity to continue serving their country after their transition from active duty. 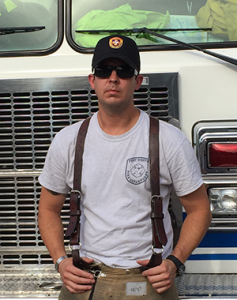 Kevin Bury is a firefighter with the Ft Worth Fire Department. He currently serves as a firefighter at Station 1. He is also a member of the FWFD Honor Guard and the Technical Rescue Team. He has served in the Marine Corps Reserve since 1999, is a Gunnery Sergeant and was activated in 2003 and deployed to Iraq in 2004 and 2007. He is an instructor with the National Honor Guard Academy, teaching fire, police and EMS throughout the country how to execute a military or public safety funeral. Mark Williams is currently a Fire Fighter for the Fort Lupton Fire Protection District and is assigned to Station 2, Engine 2. 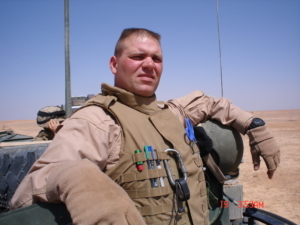 Prior to entering the professional fire service, Mark enlisted as an infantryman in the United States Marine Corps and deployed 4 times to Afghanistan, Asia and Europe. 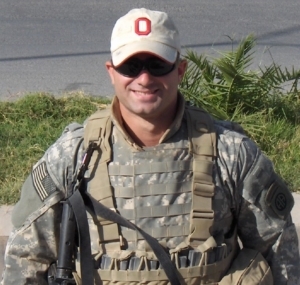 While enlisted, Mark served as a Squad leader and Platoon Sergeant during combat operations abroad. Mark is proud to continue to serve our Nation's Warfighters by assisting them with transitioning into the modern workforce. Matthew "Ski" Wiatrowski is a twenty year veteran of the fire service and has been serving with the Charlotte Fire Department since 2008. Ski is currently assigned to Engine Company 27 in "University City" and was previously assigned to Ladder 31 and Ladder 40. He also serves as a representative for Charlotte Fire Department Honor Guard. Ski is currently the President/co-founder of the "Crowntown" F.O.O.L.S. in Charlotte. Ski is also a veteran of the U.S. Marine Corps. 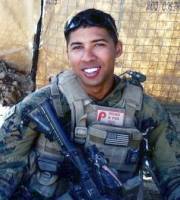 He was wounded during training and subsequently medically retired from the USMC. 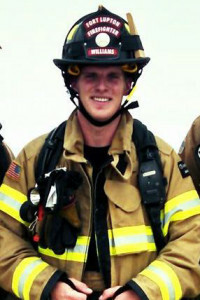 Devon Richio is a Lieutenant of the Philadelphia Fire Department and currently assigned to the Fire Training Academy. He is also a Sergeant, U.S. Marine Corps and a combat veteran of both the Iraq and Afghanistan campaigns. 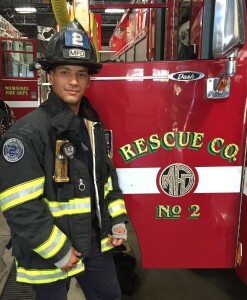 Devon is currently pursuing study in Fire Science at Community College of Philadelphia. Charles Swank is a firefighter/paramedic with the Washington Township Fire Department in Dublin, OH and a Lieutenant with the Fredericktown Community Fire District (FCFD). 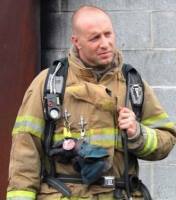 He is a certified fire instructor and serves as the training officer for the FCFD. He holds an associate degree in EMS/Fire Science from Columbus State Community College and a Bachelor of Science in Fire Administration from Bowling Green State University. Charles served as an airborne infantryman in the U.S. Army, 82d Airborne Division from 2002-2006. He deployed to Iraq and Afghanistan during his enlistment. Jeremy Starr is a firefighter with Milwaukee Fire Dept Heavy Urban Rescue Team on Rescue 2. He has been with the Milwaukee Fire Dept since 2009. Jeremy is currently a Staff Sergeant in the United States Marine Corps Reserve with 3rd Civil Affairs Group in Great Lakes, IL as a Civil Affairs Specialist. Prior to 3rd Civil Affairs Jeremy was a Infantry Unit Leader and Mortarman both as a reservist and on active duty with 2nd Battalion 7th Marines. He deployed twice to Iraq in 2005 and 2007 in Fallujah. Christopher Soldano is a retired U.S. Marine that has served 3 tours in Iraq. 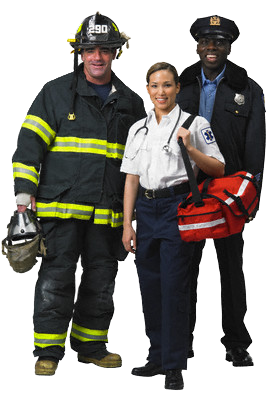 He is an avid supporter of the first responder services, however, due to injuries could not pursue that direction. During his time in the military he was an instructor / trainer, and was an avid user of many of the technical IT traits that he uses today. After retiring he went back to school to get his Bachelors in Digital Media Production, and is now maintaining and working to help non-profits such as ours reach our potential in regards to IT and web administration. 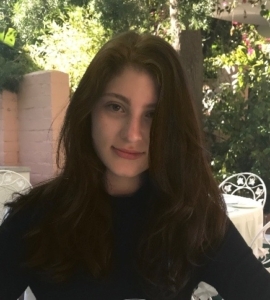 Angelina is a home schooled high school student with Laurel Springs online private school. She has been a competitive figure skater for almost 10 years. She also fenced for 3 years and just started rowing over the past year. Angelina just started as a volunteer at the 9/11 Memorial and Museum. Volunteers with Big Brothers, Big Sisters as often as she can.